Nice title saar! Super Kat is on its way! IAF will have an Indic name for this one?? LIke we have for many (or all??) current and past aircrafts. wrt the Rafale, Katrina sounds slightly hollow - like the actress, all show. We should have some kadak holistic name for her (like the existing IAF Indian names) signifying that the a/c is not just a pretty thing to look at but also potent. How about Soosma? Although not much to look at but ghatak in prahaar or Barkha? Sorry I made no posts for the last 4 hours. I had to be admitted to hospital for an IV drip because there was no Rafale thread on BRF. Now I'm OK.
Now - unfortunately I have forgotten what was discussed in the last 14 threads. Could someone summarize for me? Did we get it too costly? Too cheap? Too many? Too few. Mind is blank..
Oh we're past all of that Shiv. that way the Pakistanis can't fire on it because it represents their (cough cough) much beloved emperor that ruled over us.. Honestly that would so fuc kk their little brains... oh shi1t ... Yeh Hindu nein yeh Jahaaz humare pyrare allah blessed akbar ke naam per iska naam kyon rakha. There will be wild conspiracy theories that its an Indian conspiracy to insert an open virus into their battle management systems via publicly declaring their targets as Islamic , therefore causing their Fire and Forget Weapons to malfunction. "This is Wing Commander Siddiqui, my missiles have jammed ... they won't fire on Akbar, EJECTING EJECTING"
"Its confirmed.... the indians have played with us by giving their planes an Islamic name.... this is cheating "
Vishal: Cheee! How can you look at the picture of the Rafale and call her anything else other than Katrina? Why not name it "Mo" or "God" himself then..?? Even more potent..
Can someone having access to Aviation week post the text of this article here?? Its a Pilots report of Rafale by David North where he flew the Rafale and wrote the article about it. I read the one on Gripen which was nice one. This Rafale article might as well be a good read. Its from 1999. Rakesh wrote: Vishal: Cheee! How can you look at the picture of the Rafale and call her anything else other than Katrina? I've seen & heard the real one blow & billow. The start-up noise is like wolves howling. Here's the start-up which'll play from 3:08 so u get a good 5 seconds of the pre-spool noise. Now, at exactly 3:13 alhamdulillah hear how she becomes all uttejit and ati-uttejit 2 seconds later. 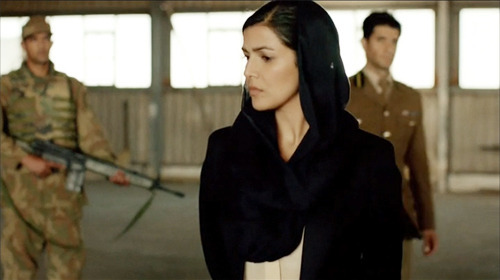 Fauji's daughter, has already infiltrated the enemy , someone who loves her Homeland and a woman who knows a thing or two about Airlift - beat that! JayS wrote: Can someone having access to Aviation week post the text of this article here?? There is another one on FlightGlobal which is free. That was an article called "Rampant Rafale". And an earlier one on the Gripen by Chris Yeo. How I wish one of those test pilot gents got such a flight on the Tejas. I can access this article but cannot post the entirety of it. Please message me your email ID and I'll send you the text for the article. ^^Thanks a lot. You can email it to "a b c x y z l c a [at] g m a i l . c o m"
Indeed, It would be a treat to read something like this on Tejas. I guess its upto ADA/HAL to invite someone and give a ride so he can write a nice article. what is this ! btw PBhushan saying Goi got Rafale for higher price is rubbish: Goi got it for cheaper. Has anyone heard about what recon pod the IAF Rafale will be equipped with? Reco NG? French air force and navy Rafale F3 combat aircraft are touted as true “omnirole fighters.” Military officials say there are multirole fighters that conduct reconnaissance, air-to-air combat, air-to-surface attack or deterrence, but only one at a time. The F3 can perform all in a single mission, they maintain. Indeed, when it comes to air-to-air combat, he says the F3 takes the place of the Mirage 2000 RDI and Mirage 2000-5. For deterrence it replaces the Mirage 2000N. In air-to-ground attack it replaces the SEM, Mirage 2000D and Mirage F1 CT, and for reconnaissance the Mirage F1 CR. “By 2015 we will have only the Rafale and Mirage 2000D in our fleet, and by 2030 only the Rafale,” Reb says. Dassault Aviation was from the outset tasked with designing one plane that could fulfill all of these roles and remain in service for 40-50 years. The F1 version, delivered to the Aeronavale in 2004, only had air-to-air combat capability. The F2, delivered to the air force at St. Dizier in 2006, introduced the Scalp cruise missile, AASM air-to-surface missile, IR MICA infrared air-to-air missile, NATO L16 data link and front-sensor optronics. The F3, first delivered in July 2008, is the F2 plus the ASMP-A advanced air-to-surface medium-range nuclear missile, Exocet AM39 antiship missile and RECO-NG (Areos) reconnaissance pod. “Two Rafales are equivalent to two Mirage 2000-5 fighters and four Mirage 2000D aircraft with respect to payload,” says a senior Rafale pilot identified for security reasons as Junior. In operations over Libya, using fewer aircraft reduces the complexity of the raids and the refuelling plan. Even improvements to the M88 engine to turn it into the M88-4E—with lower maintenance of key parts and a 30% increase in the life of the high-pressure turbine—can be introduced piece-by-piece. The first M88-4E will be delivered in November and be the base configuration of the Rafale engine. 30 minutes for a Mirage-2000 pilot to understand the Rafale cockpit symbology..illustrating the benefit of commonality of design thinking. By most accounts that have talked about it, including the Swiss evaluation report, the Rafale's situational awareness and its sensor fusion are considered to be top notch. I would fully expect that the IAF's most highly qualified Mirage-2000 pilots will form the core of the first Rafale squadron. The understanding of the French design philosophy behind the Mirage will definitely make it easier to understand the Rafale. The IAF will handpick its most promising Mirage pilots for the instructor training in France ..and given the fact that the Rafales will be tasked with the strategic role and the eye-watering price of the Rafale, I really doubt that newbies without a few hundred hours of experience will fly the Rafale. LYON, France—Thales’ new Talios laser targeting pod started flight tests on a Rafale combat aircraft on July 27, the company has revealed, and development is continuing on schedule toward a 2018 service entry on the type. 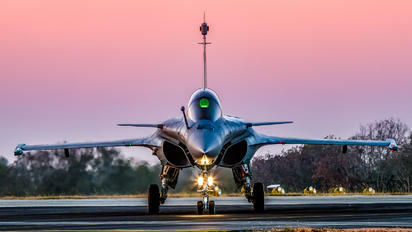 The “Targeting Long-range Identification Optronic System” flew on a Rafale operated by Dassault Aviation at its flight-test center in Istres in southeast France as part of the fighter’s F3R standard development program. The trial used a single-seater aircraft and lasted for more than 2 hr. During the flight, the Talios pod collected images with the “day” channel and assessed pointing and telemetry performance, Thales said. The company describes Talios as “the first optronic targeting pod to cover the entire decision chain, from intelligence through to neutralization.” Compared with the in-service Damocles, Talios has a much-improved sensor suite in three bands: mid-wave infrared, near infrared (best for penetrating haze) and high-definition color video. It also has a longer-range laser. The optical system has a much wider zoom range for long-range identification and—at its widest setting—situational awareness. Capabilities range from deep strike with precision-guided munition to air-to-air target identification and close air support, both in day and night. Tests began earlier this year on a Mirage 2000. Qualifications of both the Rafale F3R and Talios—a major component of the new standard—are expected by mid-2018. The same year, deliveries to the French navy and air force will begin. The French defense procurement agency has ordered 20 Talios pods so far and an order for another 25 is expected by 2019. In designing Talios, Thales has focused on expanding the targeting mission to intelligence gathering. The new pod has been conceived with network-centric warfare in mind. Troops on the ground can receive images from Talios-equipped aircraft. Enhanced precision should help prevent killing civilians. The display provides a collateral damage assessment mode, superimposing fragmentation and blast envelopes over the target image. The human-machine interface has also been the topic of a lot of effort. “We are bringing the sensors into the pilot’s world,” a Thales executive says. That gives us squadron strength at 54-56 squadrons with 25 planes per squadron. Enough to deal with Pakistan and China at same time. LCC costs is 2.5 times the price of Rafale ($85) and LCC term is 40 years. 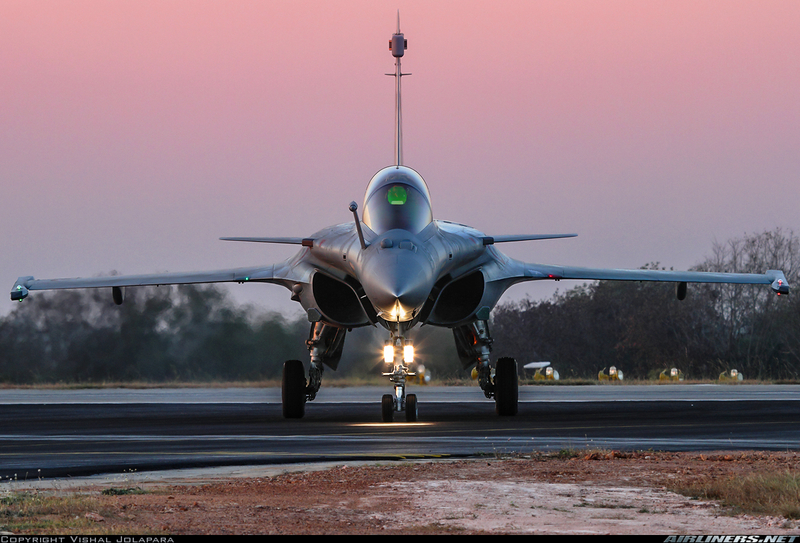 To pay for the Rafale program would cost a total of 75 billion dollars and over 40 years including LCC costs (250 * 3.5 * 85M = $75B) would cost $1.9B a year, well within the affordable range of the IAF whose capital budget is $5B/yr. Adding them all together gives us $160B and over 40 years, it is $4B a year and IAF's capital budget is $5 Billion a year. Leave $1B for weapons, and additional $500M/year for AEW&C and other force multipliers, it is within the IAF budget to go for these kind planes. Dump the Mirages, Jaguars, & MiG 29s upgrades and phase those planes out along with the rest of the legacy planes and narrow the 7-8 different type of planes into 3 planes. The FGFA should be considered as a Su-30 replacement. Rafale should stick around for 40 years and LCA or its successor. Dump the single engine fighter plane competition. It is so stupid. *Added later to include numbers for each plane and the costs of getting the planes. Last edited by Hitesh on 22 Oct 2016 04:24, edited 1 time in total. Quite honestly, the entire Rafale deal is baffling to me. Billions of dollars, dozens of new technologies, god knows how many more weapon system types and all of it bought in penny-packet quantities. Basically, another comical addition to what is becoming a laughable IAF fleet filled with aircraft designed by every country in the world except its own. On the missiles dhaga we see how money strapped we are that we can't afford more than one purchase per year. Just the 15% down-payment on the Rafales has led to the cancellation of all other potential purchases, and yet no-one thought to use these billions to expand and build large numbers of much-cheaper LCAs while simplifying the logistical footprint across the country. But no, that's not TFTA enough. So now we will have a handful of shiny Rafales that might all get wiped out in the initial nuclear strike. I refuse to pretend that this is anything other than a fiasco, no matter how TFTA the Rafale might be. If that's your gripe, then would buying an all Indian fleet make any difference? A nuclear strike would wipe them just as it would wipe any other jets. Kartik he is right, 9 Tejas for 1 Rafale would still have a chance for some to survive as they will be spread far and wide, while 2 airbases holding Bharat's MOST MEGA-EXPENSIVE FIGHTERS WILL BE A JUICY TARGET. Remember Rafale are going to be based in just 2 airbases. I think when nukes start flying, the argument whether Rafales, Tejas or Sukhois are destroyed is rendered moot. PANAJI: Defence Minister Manohar Parrikar today "advised" French firm SAFRAN to set up a facility in his home state of Goa to manufacture small parts for the fighter aircraft Rafale, for which India recently signed a deal with France. "I would also advice you to take advantage of the off-set in Rafale deal. From my side I will put a word. You (SAFRAN) are supplying engines for Rafale. The off-set of Rafale deal is around Rs 30,000 crore. If you are interested in setting up a manufacturing facility of some small parts then you can do it in Goa," Parrikar said during the inauguration of a joint venture between HAL and French firm SAFRAN in North Goa. The Defence Minister also suggested that HAL should tie up with SAFRAN and get into manufacturing of engines. "We are going to require 6,000-10,000 engines in next ten years and most of them are SAFRAN engines," he said. Parrikar said the Goa government is ready to provide land and other facilities required to set up an engine manufacturing plant. The nuclear strike example was figurative. The point I was getting at is that for a country the size of India, having 36 jets of one type in an otherwise large fleet of hundreds of aircraft mean that either they will have to be clustered together (because they won't share the maintenance/logistics/weapons with other fleet types at all airbases) or they will be so parsed out to be ineffective in packets of three-four aircraft dispersed all over the country. If they are clustered together at one or two airbases, then they become vulnerable to runway denial or at the very least, massive enemy attention in a surprise attack scenario. Out of the 36 aircraft,18 will be deployed at Ambala air base bordering Pakistan and another 18 will be deployed at an air base in the eastern Indian state of Arunachal Pradesh, bordering China. So already we are down to just 18 each for each of our massive neighbors. If this small grouping of aircraft is parsed out further in small numbers, they will require disproportionately large transport logistics because wherever they go, they will need to carry everything they will need (including weapons, probably), mainly because the other squadrons will not be sharing the same aircraft type or weapons. Q. Will the Rafales have weapons commonality with the rest of the IAF fleet? India had put forth the list of weaponry during the negotiations which the IAF wants and includes Mica air-to-air missile, Scalp cruise missile and Meteor beyond-visual-range missile and precision-guided munitions. An IAF source said India-specific Rafale aircraft will be able to carry 10 tons of weaponry. Which of the other IAF aircraft will be able to use these weapons? Upgraded Mirage-2000? LCA perhaps? Can the Su-30 use these weapons? Q. Conversely, which of the IAF's existing weapons list is usable on the Rafale? Scenario: if a Rafale is sent on short notice an airbase that hosts only Su-30s, what weapons can it share with the available ones on that airbase? If the Rafale was replaced with the LCA, would it have greater commonality with the resident Su-30s? Q. Are we purchasing enough of these specialized weapons to have a wartime dump in each operational base? Can we afford to buy enough of these specialized weapons to create a net of airbases that can support the Rafate? Or will Rafales be restricted only to one of handful of established peace-time airbases? Katrina will be omnirole in the IAF, but the IAF has envisioned her mainly for the nuclear strike role. Aircraft of a limited number have to be clustered in a single area. The 2.5 Mirage 2000H/TH/I/TI squadrons (No.1, No.7 and No.9) are all based at one airbase - Maharajpur AFS in Gwalior. To split them up - on a long term basis - would be a logistical nightmare and very expensive. In fact Dassault even mentioned this when the IAF wanted to have the 36 Rafales split in two different airbases in India. But the IAF still went ahead with the plan because perhaps they believed that more than 36 would be coming. Slightly off topic, but the IAF can move vital squadron assets and personnel in 48 hours if required. For example, during Operation Vijay in Kargil, a 'flight' of Mirage 2000s from Gwalior flew up to Srinagar AFS and operated from there during the bulk of air operations against the terrorists from Pakistan. I could be wrong on this, but I believe initially all new Su-30MKI squadrons were raised @ Lohegaon AFS in Vimanagar, Pune. They then moved on to other bases in India. No 24 Hunting Hawks started out at Lohegaon AFS with Su-30Ks and then moved on to Bareilly AFS - with Su-30MKIs - where they are based now. No 20 Lightnings and No 30 Rhinos are now the two main squadrons at Lohegaon AFS. The logistical setup at Lohegaon served as the home base of the Rambha fleet, as that is where the first Rambha squadron - No 20 Lightnings - was raised on 27 Sept 2002 (that was 14 years ago...Air Chief Marshal 'Kitcha' Krishnaswamy was then the chief and future Air Chief Marshal - then Air Commodore - NAK Browne was the base commander at Lohegaon AFS). The Rambha is Kitcha's baby. A. Yes, but only with the Mirage 2000I/TI but not the H/TH variants. The latter will all be upgraded to the former. The IAF fired the Mica missile from a Mirage 2000I aircraft recently. There was a news article on it. Meteors are being purchased in small numbers as it is ridiculously expensive. As per wiki, a single Meteor costs 2 million pounds in 2016. The French air force itself has only ordered 200 of them. Just for comparison sake, an AIM-132 ASRAAM costs 200,000 pounds in 2016. Again from wiki and wiki states that the IAF has ordered 384 of these missiles for their Jaguar aircraft. Apples to oranges comparison, but from an accountant perspective you could buy 10 AIM-132s for one Meteor. I don't think the IAF will order more than 50 - 75 missiles...even that might be a high estimate. They are just that expensive. Then there is wiring them (plus software issues) for the I/TI variant. Not worth it. The SCALP cruise missile is compatible with the I/TI variant, but whether it will be used still remains to be seen. Unit cost - as per wiki - is 790,000 pounds. A. None and the reason being there are wiring and software issues that have to be resolved first. Doable, but the IAF will have to make that call. And since none of the 36 Rafales are being made in India, Dassault's help will be needed to integrate any other weapon. Dassault will do it but for a price. You cannot put an R-27, R-73 or R-77 on a Rafale without some serious modifications. There is no plug-and-play scenario here. Although rumour has it that the IAF has managed to successfully integrate the R-73 on a Mirage 2000H variant. Since no pictures exist, it is just that...a rumour. Allow me to use the Indian Army's term of precision surgical strike when describing the Rafale. The Rafale is not meant to be used a blunt weapon, but rather serve in a very unique role. The weapons purchased - the Meteor for example - as part of the deal further serve that purpose. The Meteor is a game changer missile and considering what the IAF intends to use the Rafale for, a missile of that type is definitely needed. Rafales will not serve on the Operational Readiness Platform (ORP) at either airbase to be used for air interception to engage aircraft that have entered Indian air space. But there is one important thing to remember. The technology the Rafale (and the weapons that come with it) has is not something the IAF has had before. An operational doctrine has to be developed and that the IAF can only do that when Katrina actually joins the IAF. So give the IAF time to figure out how they can fully exploit the aircraft capabilities. The first set of birds are only expected to join the IAF in 2019. A qualified pool of pilots have to be developed as well. But that having been said, this new RFI for single engine fighters make no sense. It would make better sense to double the Rafale order (from 36 to 72) and station two squadrons each at the west and the east. A brand new type is complete hogwash nonsense. Or just leave the Rafale order at 36 and focus on the Tejas to build up the numbers. Just a point I wanted to make regarding further Rafale purchases, using another Air Force's analogy. We've done the same with this purchase of 36 Rafales..another small purchase of 18-36 Rafales would be a lot less costly, around half the cost of this initial purchase. posting a small para from an article on the RAAF which may look at Super Hornets as a hedge against F-35A not being available in the timeframe of 2020. Not sure how many people remember just how expensive these 24 Super Hornets seemed when Australia bought them..turned out, the cost of setting up the infrastructure and the maintenance support for the fleet was a one time expense and that having sunk funds into that, buying more of the same type was going to be a lot less costly than the initial purchase. Buying more Super Hornets would be the only economical hedge. As ASPI told the committee, Australia has paid for all, or almost all, of the fixed costs associated with operating the type. Stretching out the Hornet force beyond 2023, when the last Lightning is due to arrive, looks like an improbably expensive alternative, since the 1980s fighters are expected to last into the early 2020s, thanks primarily to careful structural analysis. More Super Hornets were presumably suggested as a way of sharing airframe usage with the current fleet, extending the life of the type. But the RAAF has never shown eagerness for keeping the Super Hornet in service for longer than it must, and is unlikely to favor the option. In contrast, buying more F-35As would create the homogenous fleet the service has long desired. I am surprised as to why the IAF/MoD has not gone in for a repeat order versus acquiring a brand new fighter. This is the second time this has occurred in recent times. In the 80s, the Mirage 2000 was supposed to be acquired in larger numbers than the initial order. The then Defence Minister Venkataraman (as you all know...later President) visited Russia in 1984 and the rest is history. In 2007, India announced a $1.9 billion program to arm 51 of its Mirage 2000 aircraft with the MBDA AIM-132 ASRAAM dogfighting missile beginning in 2007. Also, Indian Mirage 2000s have been integrated to carry the Russian R-73AE Archer missile and the indigenous Indian built Astra missile. The above is from wiki. Kartik wrote: Just a point I wanted to make regarding further Rafale purchases, using another Air Force's analogy. We've done the same with this purchase of 36 Rafales..another small purchase of 18-36 Rafales would be a lot less costly, around half the cost of this initial purchase. Add some price inflation as there are no options in this current deal. So somewhere near $5.5B. The ASRAAM on the Mirage-2000 news report didn't come true. The MICA IR is the chosen WVR weapon for the Mirage-2000I/TI fleet. ASRAAM however did win the contest to equip the Jaguar, against the Python 5 - apparently due to existing integration, snap up attack capabilities and the longer range of the ASRAAM.